Mini Flash anime from the limited-edition DVDs volumes (episodes 1-6) and Blu-ray Box (episodes 1-8, of which 7 and 8 were new additions to the Blu-ray box). Don't expect too much out of these shortstories, they're short after all. 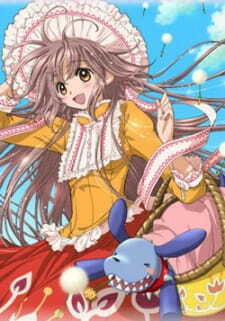 These few minutes are fun to watch, but you should really first have watched the mainstory of Kobato. But its a good addition to the end of the mainstory to cheer up a bit.